I got an order for a memory/first birthday present for a little girl. 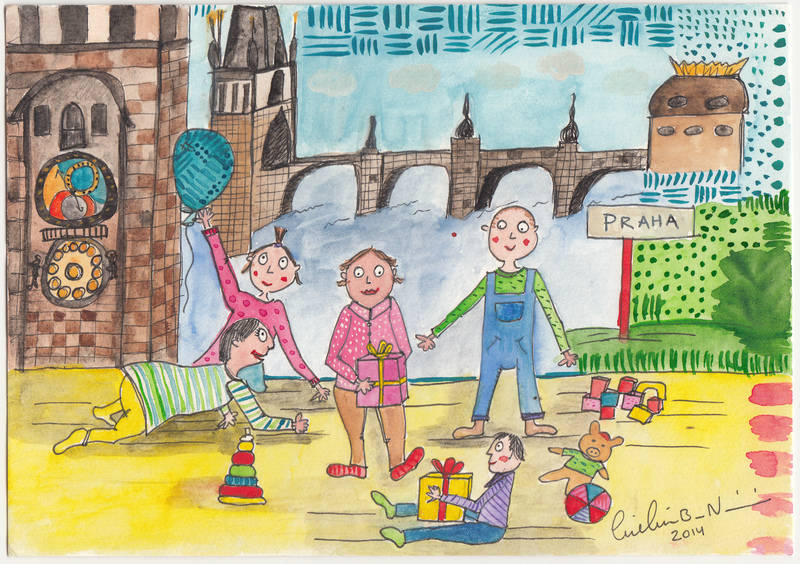 In the illustration you see the birthday girl in the middle with her little friends around her in a Prague setting. Colorful, fun and a great idea.